Florida is famous for its picturesque beaches and coastline. Many people choose to live in a condo or visit when they need a much deserved break. Are you currently a condo owner or looking to purchase a condo? Its a great idea to make sure that your investment is fully insured according to your personal needs. In Florida your condominium unit owner’s insurance is likely referred to as an HO-6 policy form, or a condo unit owners form. Each policy form is packaged with both property and liability protection but the extent of the condo insurance protection applies only to the interior of the unit. 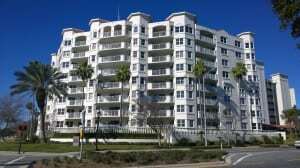 The Florida condominium unit owner’s insurance policy includes flooring cabinets, counter tops, and fixtures. Florida condominium unit owner’s insurance policy also includes coverage for content such as furniture, appliances, clothing, etc. Whether this home is considered to be your residence or a second home or a vacation home it is a good practice to make sure your home is insured and you have peace of mind.